My little girl has always had a sweet tooth. She used to bang the tray of her high chair for purified fruits and pucker her lips at everything else offered. Her eyes light up at slices of cake and pink donuts and cheesecake. 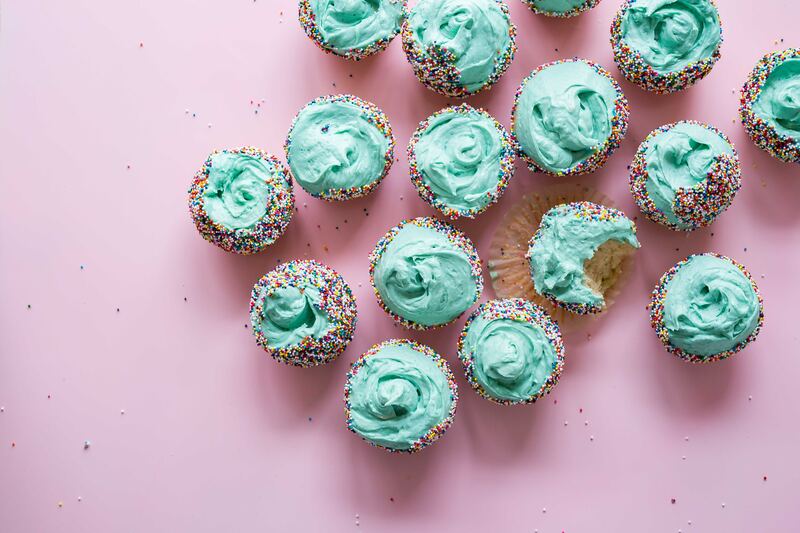 Cupcakes may be her love language. Don’t even get me started on how often she asks for candy. She is a picky eater, and dinner is always a battle; of course, she’s always hungry for dessert. Maybe this sounds familiar. We joke about her insatiable appetite for sugar and constantly remind her to fill up on good food first. Her epiphany made me think about raising our kids in a culture on a constant quest for satisfaction. I’ve watched my kids fill up on empty things—from social media cravings to the trendy, must-have fashion fads to the latest technology upgrades. And one thing is certain: even if or when they get what they want, there’s always something next or better around the corner tempting them. In our culture no matter how much we get, we always want more because we are really good at filling up our time and our lives with things that do not satisfy. Although these things may not all be bad, they leave us feeling empty instead of full. As a matter of fact, it’s reported that after reading other people’s statuses on Facebook we’re more likely to feel down and depressed and generally worse about ourselves than before we read them. I know I’ve experienced this. We are raising a tween and two teens in our house, and I have watched them go from one thing to another in their quest to be satisfied—from sports to musical instruments to hairstyles. I realize this is part of growing up, but it has been amazing watching my older two (especially in the last six or so months) discover deep, abiding satisfaction in their relationship with Christ. They are discovering truths that will carry them through whatever life brings their way. Filling their hearts and minds with the things of God will satisfy their hunger in a way that the world cannot. They will not only feel better but will also be full. 1. We are eternal beings. This life isn’t the end. Despite our striving and obtaining, we all leave this world with the same thing—nothing. We are created for eternity. The things of this world that are fun and feel good are temporary. They will not last. Kids don’t always have the perspective of hindsight, so everything here and now feels like forever. They need us to gently remind them that the things of this world will never satisfy the hunger with which we are born. 2. We can’t hold on and let go at the same time. Ask your kids to hold on to both your hands while also gripping the handlebars of their bikes. It’s impossible. We have to let go of one or the other. Talk about the story of the rich young ruler with them. He was a good guy; he had done good things. But in the end he held on to the things that didn’t matter. Scripture tells us, “He was holding on tight to a lot of things, and he couldn’t bear to let go” (Matt. 19:22). We have to teach our kids we can’t hold on to Jesus until we let go of this world. 3. We were created to do something that matters. As Christians, if our life goal is happiness we are missing the point of life. We aren’t here so we can have it all or do it all. If that’s our aim we will live dissatisfied lives. We are here to glorify God with our lives. God wants to know that we love him more than anything else. When we live out our purposes we find deep satisfaction, and we discover that our cravings for something real and sweet are satisfied as well. Ask your child what they love doing and look for ways to encourage them to do it for Jesus. 4. Our heart will lead us to our treasure. Jesus said, “Where your treasure is, there your heart will be also” (Matt. 6:21 NIV). This is a hard saying, but we cannot deny the truth of it. Where we give our time, money, passion, and energy is where we are investing our hearts and lives. If we made a list of the things we’re investing in or put them in a pie chart, what would it reveal? And so this begs the question: What do we treasure? Today I’m giving away my new book on audio, a set of map notecards and my favorite world changer vanilla candle to THREE winners. 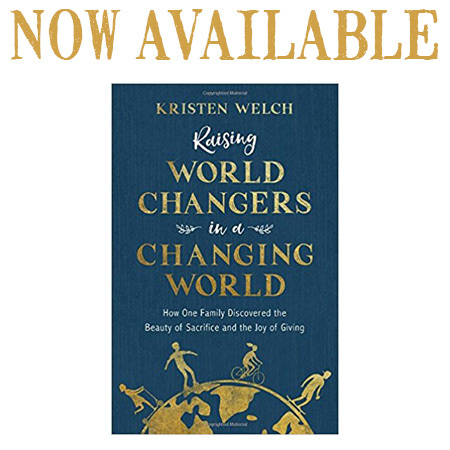 Leave a comment and WIN a Raising World Changer in a Changing World AUDIOBOOK and gifts–perfect for this summer’s family road trip. This is such a great reminder that it really starts at home with us parents leading/showing/teaching the way! Love your heart and the words in this book! Than you! This has become the heartbeat of my parenting hopes. Thank you for sharing. Always love reading your blog. Would love to listen to your book on the drive to the beach next week. Keep sharing the truth!!! I appreciate the truth you challenge us (me!) with. Just today I was reading about how Jesus knew what His mission was and that was His goal each day. It challenged me to think about what is my mission and am I living it each day, or am I caught up in the world? I need to get this right not only to please my Master, but because my kids are watching. Thank you for your words that encourage me to please my Master. Oh what a great reminder for me to read this morning!! Your blog is always a great reminder and it’s usually spot on with what I need to hear!! I would love to be picked for your drawing ? I’d love to listen to this with my family over the summer! oops sorry! didn’t mean to comment twice! Yes. Thank you for these reminders. Thank you for your encouragement in leading our children to the Lord. And thanks for the opportunity! It’s nice to know other parents are sharing the same struggles. It’s so hard to battle the world’s idea of satisfied. We’ve been so encouraged to raise our kids “upstream” and many posts on your blog have been great conversation starters with our kids. Thank you! Thank-you for your perceptive and honest writing. It is always an encouragement. I always enjoy your posts, you’re a gifted writer. I would love to gift this prize to my daughter. She’s raising 3 little ones on her own, and doing a wonderful job, but your message would so speak to her heart. Thanks for the opportunity. I wish I had learned these truths as a young Mom – I’m a Grandma now but still want very much to help get these truths out. Can’t wait to listen to your book! Thank you for the reminder that the most important activity is growing closer to Christ! I’ve been worried about my girls switching things up every year, but this brings me some peace! Any chance the watercolor map will be in a larger size soon? 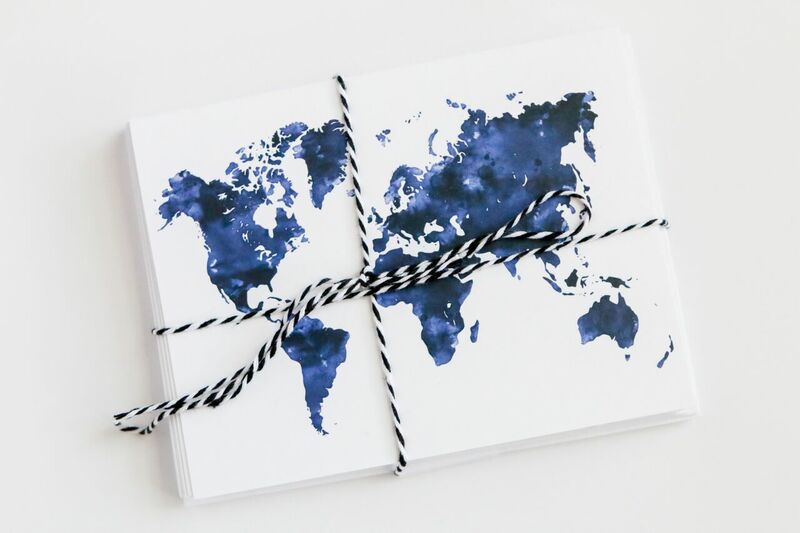 I love the other watercolor maps, but this blue one calls to me! I’ve enjoyed your past books. Would love to share one with my family! What a great perspective and reminder to keep things simple and focus on what matters most. I pray this is something I can share with my kids as they grow up and are tempted by the “can’t have enough stuff” society they are surrounded by. How often do you hear people say of their children, “I just want them to be happy”? It isn’t that it’s bad to want that — it’s just the wrong goal. You have explained this SO beautifully!! Great encouragement and points listed! Thanks for this….and btw…. I LOVE those notecards! Huge fan of your writing. This month we are bringing a 14 year old girl to our home to live with us who has been raised with a sense of entitlement. Would love to be a winner. I love this reminder….thanks for the beautiful start to my day! I’m convicted by how often I turn to things in this world that don’t satisfy and know that as I make choices my kids are watching. This is what I needed to hear today – thank you ?. So excited for a book that will encourage and equip me to empower my kids to fulfill Gods plans for their lives. I love this! Such a good reminder! Thank you for sharing your heart with us! Your convictions have inspired & convicted me in so many ways and I am so grateful for your ministry! Great reminders! Thank you for sharing what God continues to teach you. As a mom of 2 teen girls, this hit home. A great reminder of what’s important and where it all starts… At home. Thanks. I’m looking forward to reading this book. I love watching all the work at Mercy House. It’s been a few years since my prayer bracelet wore away, but I still keep them in my prayers. I need these reminders as an adult. The whole pie chart is very convicting. Especially since I sometimes feel like I am more willing to give of my money than of myself. Thank you for your heart. Great reminder to raise our families with eternal priority rather than pursuing happiness and success! Yes! I’m raising a tween and two teens too. I was just telling a few of my closest friends that I want to do a book study or start a group for parents of teens because it has been a rollercoaster of ups and downs or two steps forwards and four steps back! It’s hard to stay sain some days! I appreciate your writing and work so much! You are a great source of encouragement! Great conversations to have with your kids. Thanks for these! We have 3 teens in our house. And the weight of investing in character and integrity is not lost on me. This post is so timely for our family. A great reminder that where our treasure is, there our hearts are too. I’m finding the more I dig into God’s Word and seek after Him, the more peace I find and the less I long for the things of this world. And what valuable and intentional conversations to have with our children. Love your blog. It’s challenging but in a positive way. Oh my, this would be wonderful to win! I have been wanting to read your new book. Thank you for the opportunity, and for so freely sharing your heart! Great truths to remember as I am raising my children! This world will never satisfy and I need to remember that too when I (too often) look for comfort outside of the Lord. I love how you teach & remind us of the important things in parenting. Thank you! Enjoyed your first book. Would love to read this one! Yes please! We love audio books over here!!! Thank you for always speaking truth..it always seems to come right when I need it. ? I LOVED this book and would love to have a copy to gift! So grateful for your writings! My father was a minister from the age of 19 until he died earlier this year at almost 90 years of age. I would love to send you a link to an interview he gave after he had been given 6 months to live. You remind me of him and his love of giving Jesus to the world. As usual, another terrific reminder with great truths! I am reading this book and love it! But I also think I need to go back and review the Raising grateful kids this summer. Thank you for your encouragement in these areas! Yes please! I love audiobooks and cannot wait to read this book. Thank you so much for this message and your book. ❤️ Would love to listen to it as a family on our adventures this summer! ? I am joining a group of young moms to read your book all together. I would love to receive the giveaway!! I just started reading your book. Thanks for being real and for challenging us to look beyond ourselves. I already gave the book but would be happy to pas the audio on to some family or friends. Thanks! This is so great, and I love audio books!!! Yes! Yes! Yes! Thank you for this timely reminder! My kids and I are reading your new book together this summer…Lord willing, it will impact all of our hearts in eternal ways. Thanks for this post! Raising three boys and striving to instill an eternal perspective in them. Wearing my favorite Mercy House bracelets today 🙂 Have a great summer! I look forward to reading your newest book. I’m sure it will be great like the others. It would be such a blessing to win this. I hope I am not to late to enter the giveaway. The audio would be a good to listen to with the book. What a blessing for someone. Thank you so much for the giveaway. I’m sending this one to my husband to print at work so I don’t forget to talk about it with our kids! Lovely reminders and giveaway! LOVE this! Bought the book but Audio books are my fave! Your writings always speak to me! Thank you. Loveeee! Thank you so very much for the chance to win! Cheers!